Brown rubber stair treads are a perfect solution for any interior stairs with heavy foot traffic. Our modern design provides safe footing while also adding to the aesthetics of your stairs. 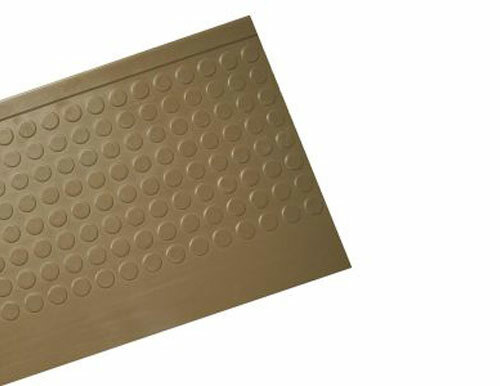 These anti-slip stair coverings are ideal for anywhere slip resistance and fire safety are a main concern. Vinyl and rubber stair treads are great for industrial use, commercial use, or any building with heavy foot traffic. Typical installations have included churches, restaurants, hospitals, medical buildings, commercial offices, and industrial buildings.